Natural stone is a classic and popular choice for flooring solutions. Its timeless, natural beauty adds elegance and durability to any home. If you have decided to opt for a marble or natural stone floor, it can be quite daunting trying to figure out which stone is the best solution for you. There is such an array of choice out there, and prices can vary from €35 to over €100 per m2. Preparation, fitting, adhesives and sealing are additional costs to consider. So where to start? Marble is a crystallised limestone that evokes a feeling of sophisticated extravagance. Marble floors are the ultimate in luxury and truly add a touch of class to any home. Marble tiles are at the top end of the natural stone flooring scale. The best marble available on the market today is Italian, and we would recommend if possible that you buy Italian marble tiles that are also cut in Italy. 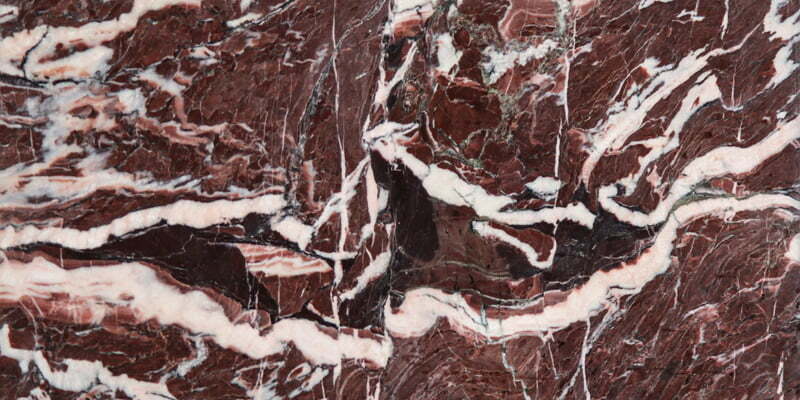 Generally, Italian marble is white, with veins running through it. There are cheaper Italian marble tiles available that have been cut in China. These have sometimes been cut across-the-bed (the slab is sliced perpendicular to the main direction of the veining) and in time will start to flake and chip. Always ensure your Italian marble comes direct or was sourced from Italy. Marble is a hard-wearing natural stone once cared for. While luxurious and instantly recognisable, marble does require some maintenance and sealers are needed to guard against staining and scratches. However, when installed and cared for correctly, your marble floor should last a lifetime. Your maintenance plan will include a strip, clean and reseal of your marble floors every one to three years. 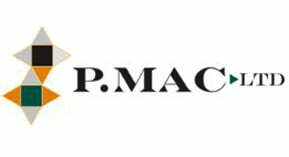 This is generally best done by a professional marble restoration company. 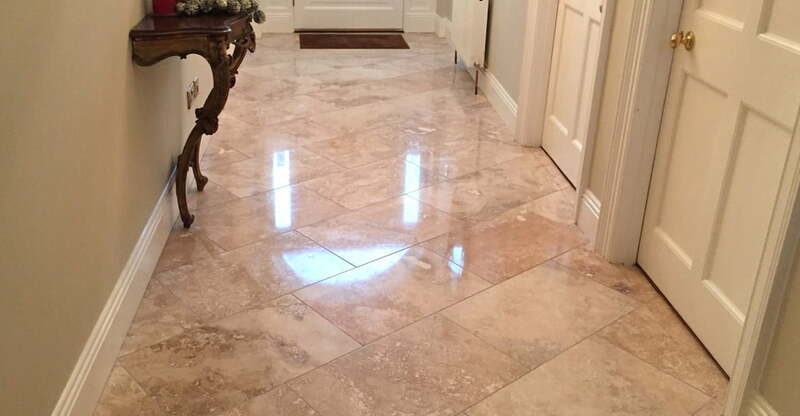 When considering installing a marble floor, you should factor in professional polishing and sealing costs in the region of €400 for an area of 30 m2 or less every few years. Marble will scratch and can etch, regular maintenance repairs these blemishes and restores the shine and appearance of the stone. Limestone is a sedimentary rock that consists of mostly organic material such as the skeletons and shells of marine creatures. Over millions of years, it solidifies into solid rock. The most common limestone you see today around Dublin is German and is known as Jura limestone. Jura limestone is one of the most hard-wearing limestones, although it is not quite as hard-wearing as marble – it is softer and can scratch more easily. Like all natural stone, it is porous and will need to be sealed every one to three years. 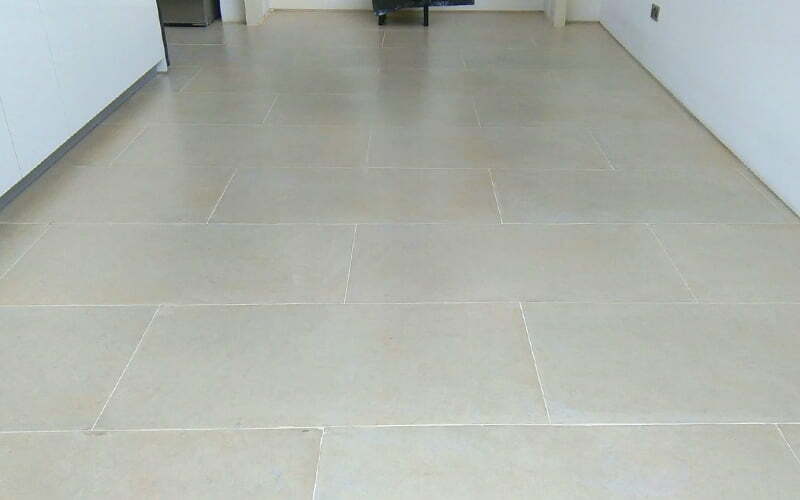 Moleanos limestone is a beige Portuguese limestone. It is softer than Jura limestone, so less hardworking and more absorbent. It will require a little more maintenance and should be sealed if it is used externally. 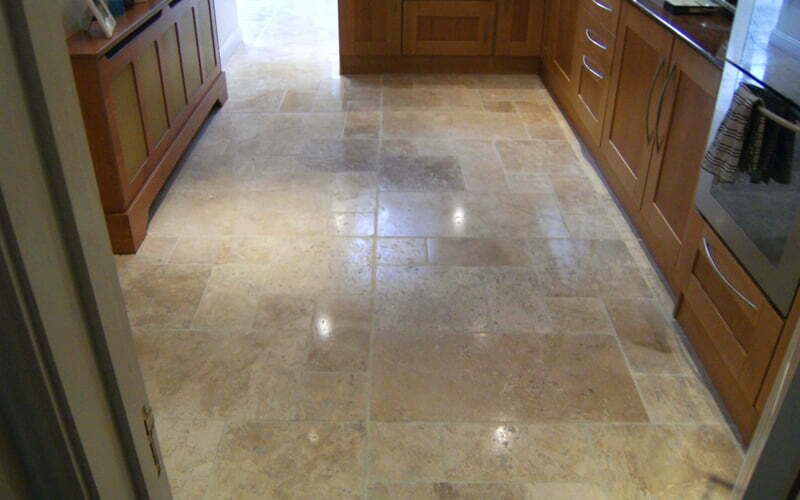 We would recommend using this type of limestone in areas of the house that experience less traffic and general wear. It would be ideal for sitting rooms or bedrooms and as a decorative feature on a wall. Travertine is formed by geysers – the extremely hot underground water dissolves the underlying limestone and carries it upwards with the geyser water. When the water falls to the ground, it re-hardens into stone. The new stone is full of gas bubbles, which gives travertine its characteristic appearance. If you slice your travertine tile down the middle it will resemble a Crunchy bar. When purchasing travertine, it is very important to look at the side of the tile and see just how porous and how many air bubbles are present. If these are present near the surface of the tile, this can mean they are only protected on the surface with an eggshell layer of stone and may appear as holes at some stage later. These holes need to be filled as quickly as possible, as if left neglected the problem will deteriorate and the hole will get bigger. It is possible to fill these holes during regular maintenance of your travertine floor. We would recommend sealing your travertine floor with a topical or surface coating, as this will give you added resistance. Travertine is the most porous of all natural stone tiles and therefore the most high-maintenance option. It is best not to fill holes and pops with a cementitious or grout product, because these are very porous, hard to clean, and known for attracting dirt. Because granite is a hard stone formed at high temperatures deep in the earth, its polish is not subject to scratching by knives or pots and pans, which makes it an ideal counter top in kitchens. It is unaffected by typical kitchen heat or spilled liquids. Granite tiles can also be an ideal solution for floors for the same reasons. 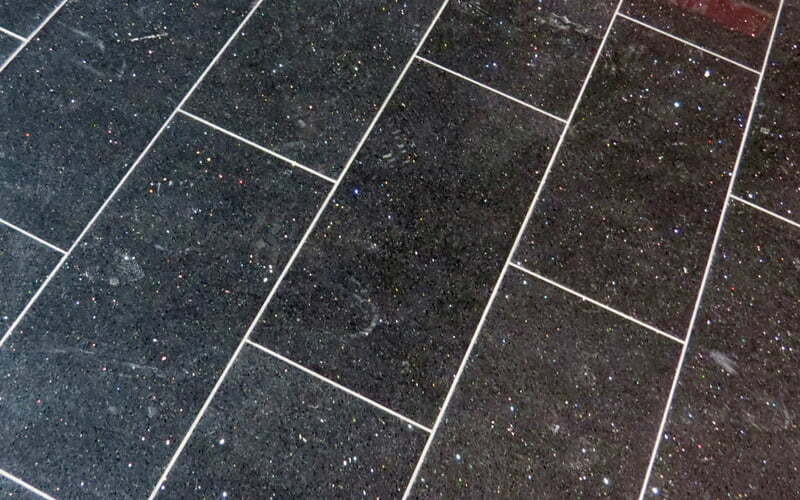 Granite floors are often used in commercial situations – banks, airports and retail areas – but often overlooked in a residential situation. 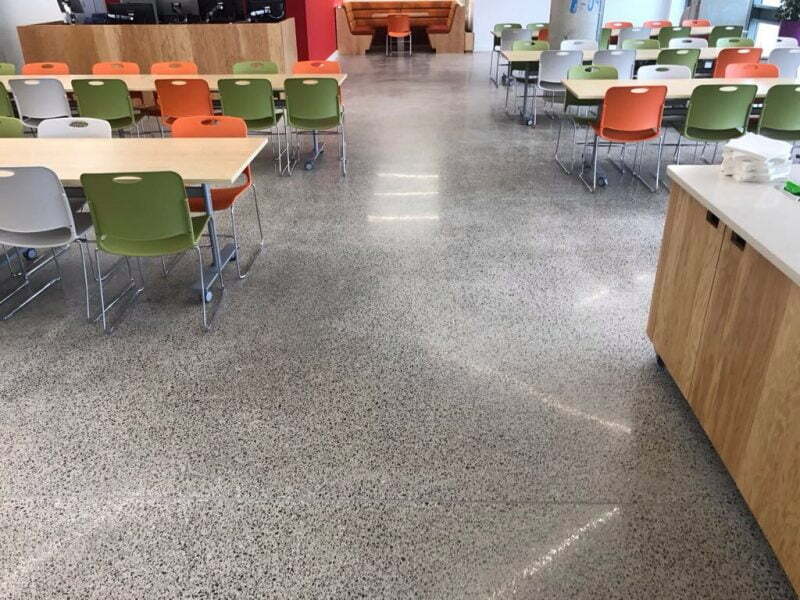 Granite makes an excellent choice, it is relatively easy to clean and requires the least amount of professional intervention of any of these floor solutions. Because of stone’s porous nature, we would recommend you opt for a hard marble or granite in a bathroom or kitchen area. The more porous limestones and travertines are less resistant to staining from soaps, oils and acidic spills, and are really high maintenance in such areas. Ensure you entrust the laying of your marble or natural stone floor to a good tiler. The way your floor is laid will have a big impact on the longevity and maintenance requirements of your floor. A floor with no lippage, and tight joints that are properly grouted, will last a lifetime. It will be easy to keep clean and less costly to restore. It will always look beautiful and reflect light well – a poorly laid floor may need to be re-ground, honed and polished, which all adds cost. Opting for a natural stone floor is a big investment, so employ a reputable and experienced tiler to lay it. You should expect to pay at least €40 per m2 for a good tiler (this does not cover the cost of adhesives, grout and seal). There is always movement in a sub floor, particularly where you have wooden joists. A good tiler will ensure he leaves enough room between tiles, stiffens up the floor and adds isolation mats around the perimeters to allow for movement. Otherwise, there is a possibility that your tiles will crack. Advice should always be sought from your stone supplier and this should be followed and not deviated from just to make short-term savings.